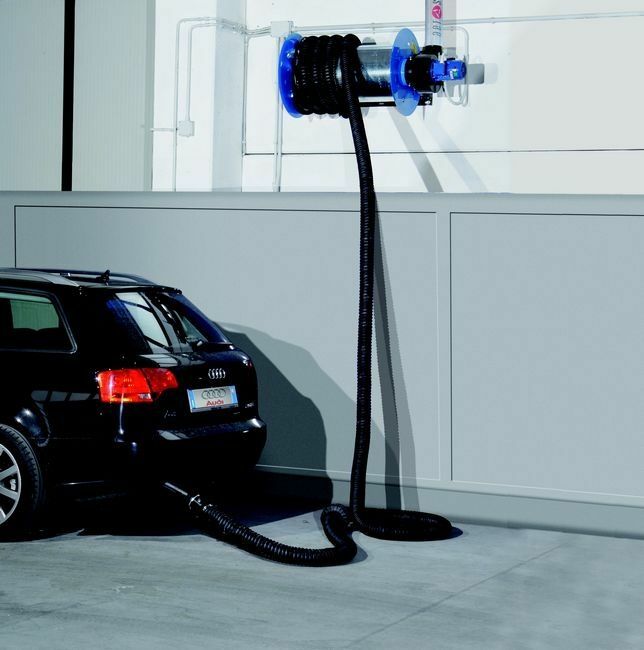 The Spring Recoil Reel System is a flexible means of introducing exhaust extraction into workshops and garages and can be used on all classes of vehicle. 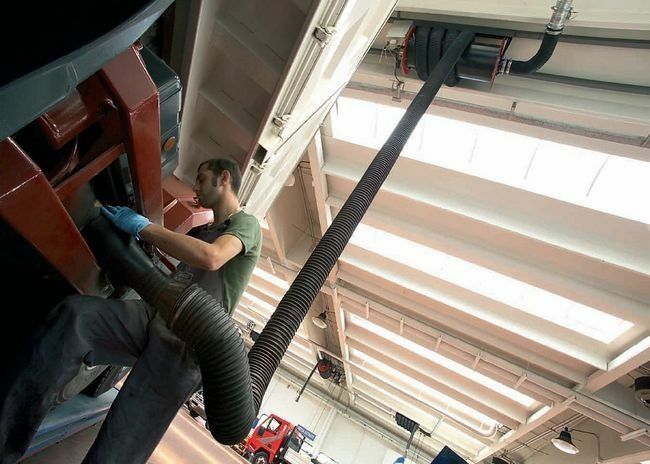 The reel carries the required length of hose on a steel drum and is fixed at a high level to keep the vehicle workshop free from obstruction, a benefit which improves health and safety in the workplace. The hose and funnel hang at the required height for the operator and after use the operator pulls the hose and the reel will recoil the hose for storage. When required for use the operator simply pulls the funnel to released the required amount of hose to be attached to the vehicle tailpipe. A hose stop can be attached to the hose to stop the the roller and funnel from becoming damaged and also for the hose available to be kept at a desired working length. An optional extra is to have the reel mounted on a free moving rail. 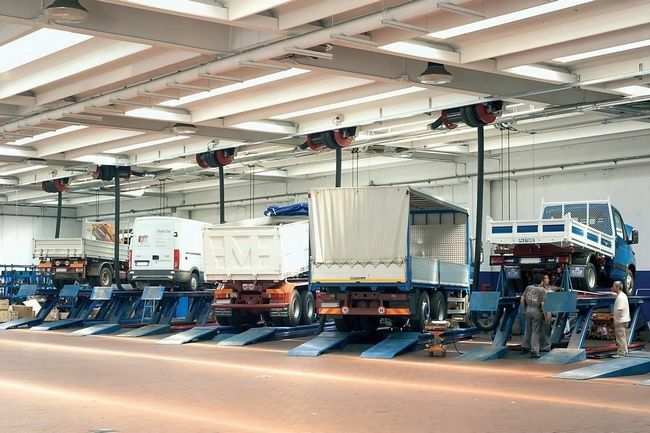 This enables reels to be moved along the rail between workstations when a fixed system is not required for each bay.